I am joining one of my favorite readathons this week: A Winter's Respite Readathon hosted by Michelle at Seasons of Reading. This year, the readathon has been extended to two weeks, which is great! I've already read about half of Hidden Figures, so I am going to finish that and then move on to No Man's Land. Here's my recap of this two-week readathon. I did finish Hidden Figures and ended up going to see the film as well. It was great! Then I moved on to No Man's Land and it took me a long time to get through this huge book, but I finished it! I still had about 75 pages left when the readathon ended, but I finished it the next day. So in total, I read about 200 pages in Hidden Figures and 497 pages in No Man's Land during the readathon, for a total of almost 700 pages! Pretty good for me for a two-week period! Just wanted to wish you luck on your goals. Thanks for letting me know! I'll definitely check it out on the weekend. Great to have you with us on another readathon! Your reading choices are great. 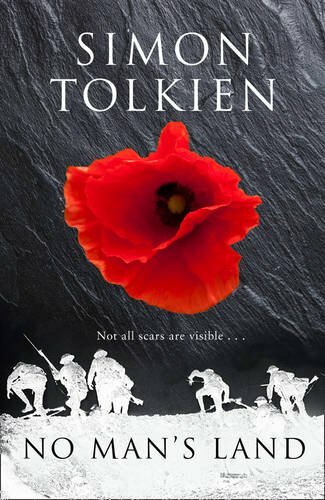 I'm intrigued by the Tolkien book. Will have to look into that one. Enjoy your readathon reading! Thanks and thanks for hosting again! Great job, Julie! I need to put Hidden Figures on my list and I'm hoping to see the movie before the Oscars. Thanks for joining us! Hope to see you for Spring into Horror.